I have not even begun the internet part of it as I was having issues with the circuit. 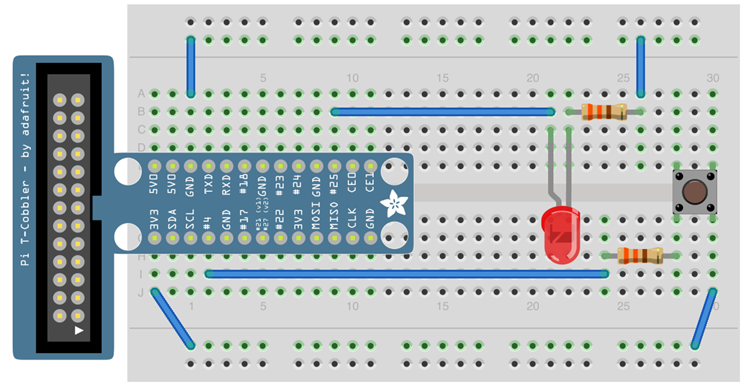 I wired my circuit just like it is shown in this diagram below using my raspberry pi 3. I then wrote the following python script as shown in the tutorial. I have RPi.GPIO version 0.6.2 which is the latest version at the time o fthis post. I would appreciate any help that anyone can provide. The code you have is adding an event detection callback constantly (in the while(True) loop). What you want is to add the event detection callback once and then wait for an edge. This page has a good example you might want to go through. # only add the detection call once!